The Cherry Hill resident serves as the writer of the political horror comic, which features art from Nicolo Arcuti, colors from Francesco Farabi and lettering from Micah Myers. The comic is currently scheduled to be released in mid-July. “SKOTUS” will be the fourth published work by Wolinsky, who has been creating comic books for the past three years. According to Wolinsky, “SKOTUS” is the story of President of the United States (POTUS) Theodore Voyage, who deals with presidential duties by day and becomes the Patriot Killer by night. Voyage uses his political power and thirst for blood to get what he wants and uses his power as SKOTUS to gain more political power as POTUS. 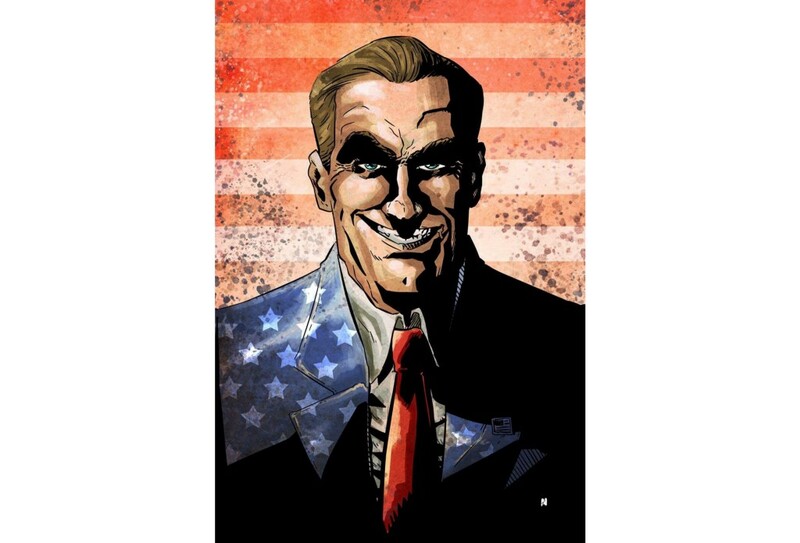 The writer described the comic as a fresh take on political corruption and represents an extreme, fun and horror-filled vision of the possible future of the United States’ political system. Wolinsky stated that “SKOTUS” was inspired by Texas Senator Ted Cruz who became the subject of a satirical conspiracy theory during his 2016 presidential campaign that implied he was the Zodiac Killer, an unidentified serial killer from the 1960s. “There is ongoing lore about [Cruz] being the Zodiac Killer and that idea sparked the theme for this comic book,” Wolinsky said. To help “SKOTUS” become printed, a Kickstarter campaign seeking $6,500 in funds for the comic has been established. As of Feb. 26, $2,022 has been pledged. According to the campaign, the project will only be funded if it reaches its goal by March 20. Rewards for backing the Kickstarter campaign include the comic book, alternate covers, original art and pins. The first eight backers who pledge $150 or more will also have their likeness appear in an eight-page prequel comic to be murdered by President Voyage. Two slots to become eligible for this feature remain open as of Feb. 26.